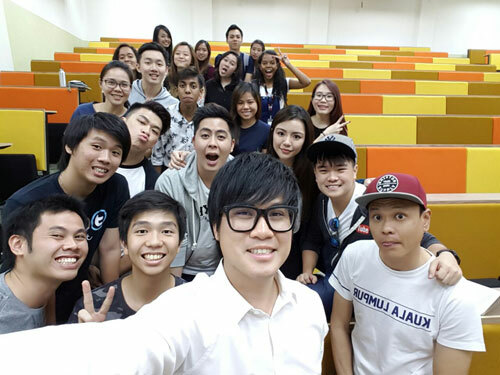 JinnyBoyTV, one of Malaysia’s most well-known video production teams and winner of Malaysia’s Most Popular YouTube channel at the WebTVAsia Awards 2015 organised their latest video shoot at INTI International College Subang. Shot for HP Malaysia, the video highlighted the importance of “being yourself” and was directed by Jin Lim himself – an alumni of the former Metropolitan College which is now part of INTI’s campus – with fellow producers, Reuben Kang and Alan Lok helming the cameras and set management. 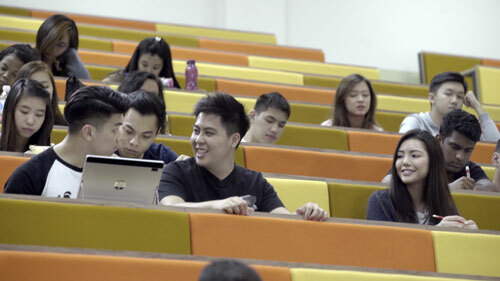 The video captured a number of INTI’s well-known locations including its recently refurbished lecture theatre which has been fitted with brand new equipment. The refurbishments come as part of INTI’s focus to combine traditional classroom methods with the use of technology and online learning management systems which provide students the most innovative learning experience. In addition to the venues, the shoot also provided INTI students the opportunity to be a part of the experience by playing extras. About 30 students, many of whom were from INTI’s Mass Communication’s programmes, signed up to have a taste of the limelight and were also exposed to the ins and outs of a professional video shooting experience.